Can't attend? Follow The Arts House to know of future events! The three Eisner wins of Sonny Liew for The Art of Charlie Chan Hock Chye have shined a spotlight on Singapore comics and the Singapore comics auteur, one who writes and draws his or her own comics. But this is only one form of comics creation as collaboration is the more common way of producing comics in America, Europe, Japan, Hong Kong and other parts of the world. Think of the Stan Lee and Jack Kirby / Steve Ditko partnership that produced the current Hollywood blockbusters. This workshop will explore writer and artist collaboration in comics with a practical exercise to get budding writers and artists to start working together. Join Lim Cheng Tju and Benjamin Chee, the writer and artist team of Guidebook to Nanyang Diplomacy and Dave Chua and Max Loh of We'll Eat When We're Done for a fun-filled afternoon. This programme is part of Textures – a weekend with words. Textures celebrates the power and beauty of words. It invites audiences to experience and appreciate how words give us the ability to express ourselves as well as give meaning to our lives and the world. With its profound ability to connect and unite, words breathe life into the vast breadth of human thought and feeling, whether spoken or written. 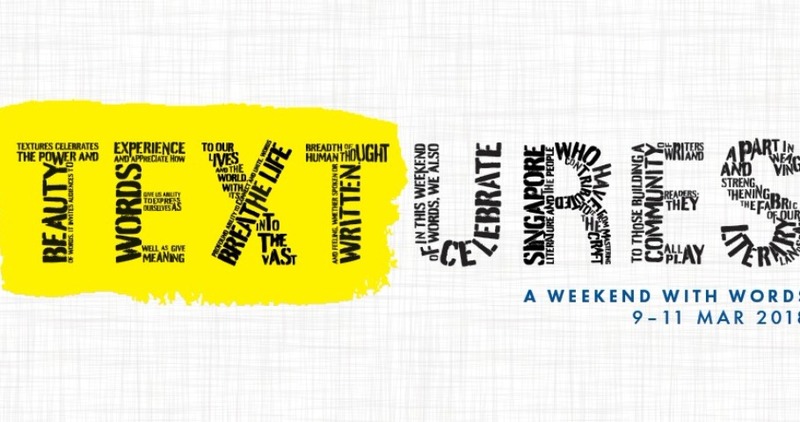 In this weekend of words, we also celebrate Singapore literature and the people who have contributed to it. From mastering the craft to those building a community of writers and readers, they are all part of weaving and strengthening the fabric of our literary landscape.